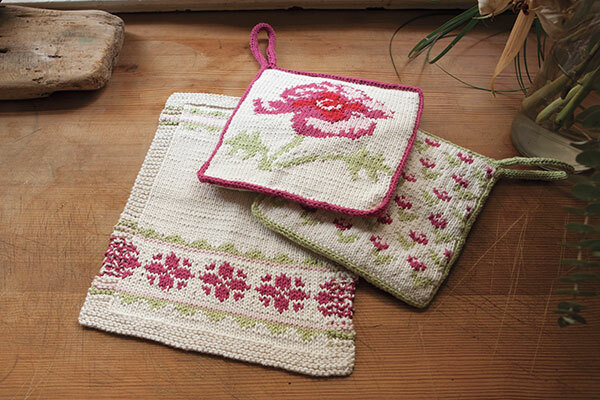 This sweet set makes kitchen time a delight. 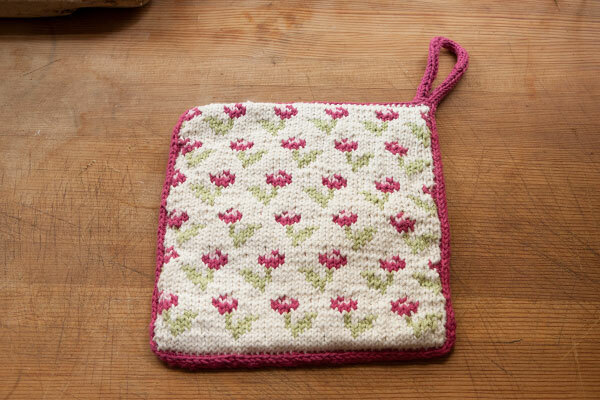 Several posy designs adorn every side of these delightful treats, while the durable cotton and insulation make them usable throughout the kitchen. 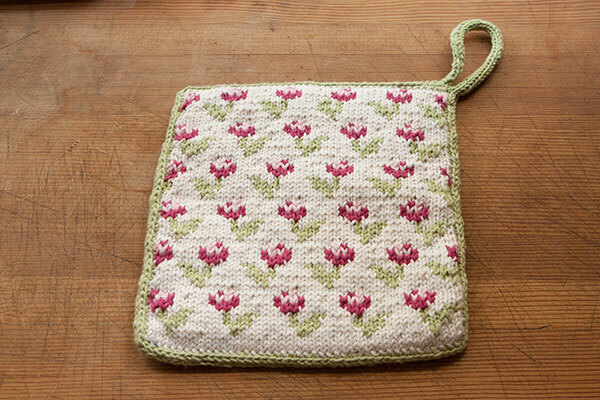 The hot pads are knit flat in two pieces and then joined together by an I-cord border. 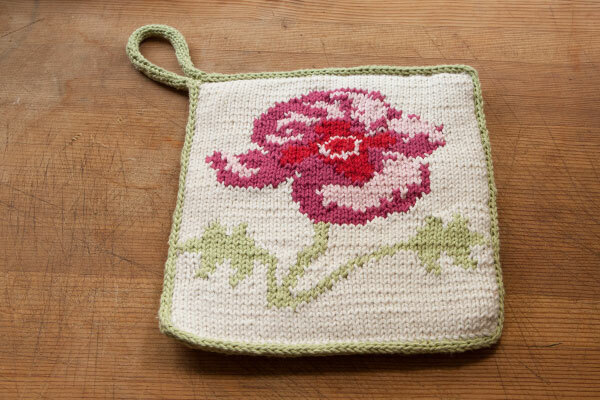 One side features an intarsia pattern while the other is uses stranded colorwork, with suggested insulated batting in between to make them that much more useful. 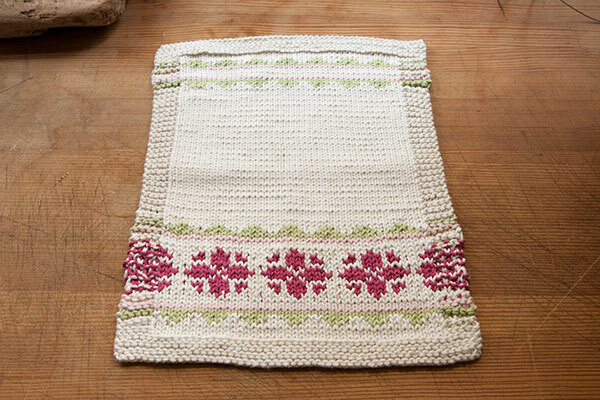 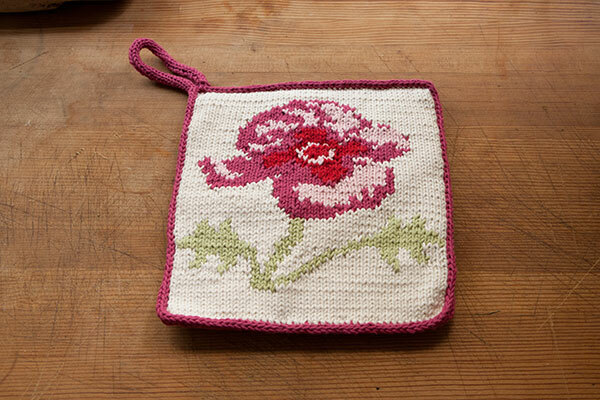 The tea towel is knit flat with stranded colorwork and a garter stitch border.